January is off to a good start with a variety of Central Florida events to enjoy great food and fun with friends. From Scottish games, to farm dinners, to key lime pie, to wine tasting, there is something for everyone. Get your friends together and GO celebrate life! 1. GO Fill Up on Key Lime Pie! 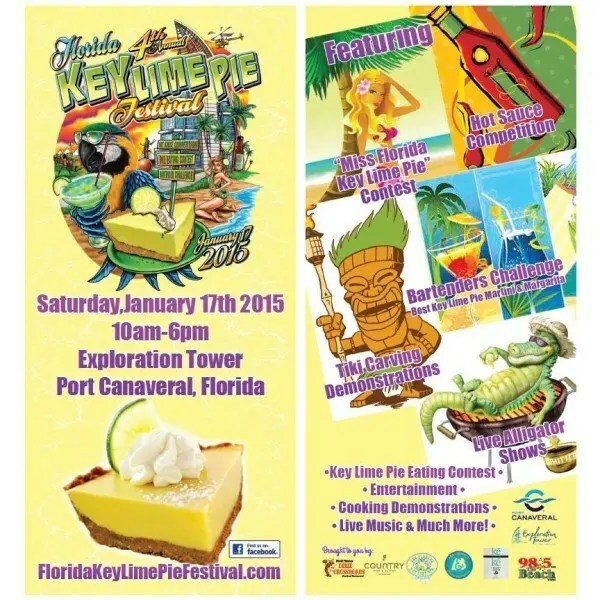 On Saturday, January 17, get your fill of Florida’s favorite pie at the Florida Key Lime Pie Festival held at Exploration Tower in Port Canaveral. Whether you want it in a cup, in a coconut or by the slice, from 10am-6pm, The Florida Key Lime Pie Company is serving their famous Key Lime Pie. Watch the crowning of Miss Florida Key Lime Pie, take part in the Key Lime Pie Eating Contest, watch the best bartenders create their favorite Key Lime Pie Martini and Margarita recipes, shop from Florida artisans showcasing their work emphasizing Florida state’s beauty, kick back and relax, enjoy foods from area restaurants, watch the culinary demos, do some wine and beer tasting, enjoy the live entertainment. There is fun for everyone. Click here for tickets. Located at 670 Nisbet Drive, Port Canaveral FL. GO Fill Up on Key Lime Pie! 2. GO Be a Judge on Craft Wars! If you love craft cocktails and you’ve always wanted to judge a competition, then here’s your chance. 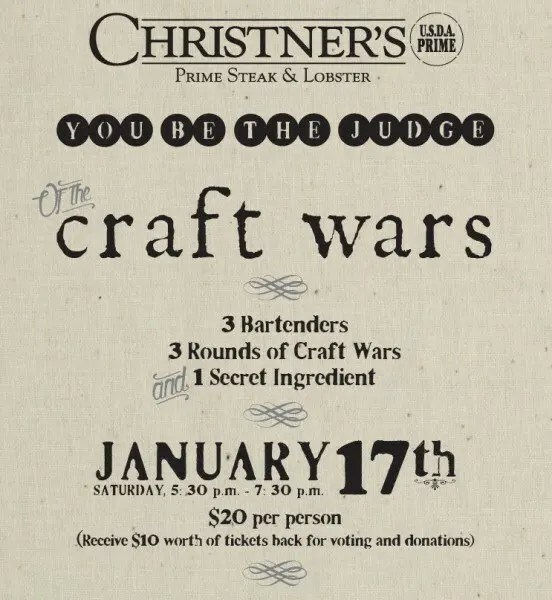 Christner’s Prime Steak & Lobster, Central Florida’s favorite steakhouse, is refreshing its bar program with a menu featuring new cocktails set to unveil at its inaugural Christner’s Craft Wars. On Saturday, January 17 from 5:30 to 7:30 p.m., three of Christner’s resident bartenders will go head-to-head in three rounds of craft cocktail making with the winner dueling it out for charity and bragging rights. For $20, you gain access to the event and get to be the judge. All cocktails will be judged based on originality, taste and the uniqueness of its name; the three rounds of cocktail creations include the Christner’s Classic; the bourbon cocktail and the “secret ingredient” mixed cocktail. Christner’s bartender’s Jeannie Rudnick, Kyle Laufenberg and Stacy Word will be partnered with local charities –Central Florida Food and Outreach and Runway to Hope – and the bartender with the most tips at the end of the three rounds will select the cocktail of his/her choice to be featured as a limited-time-only drink on Christner’s bar menu. Tickets will be given back to all attendees in the way of “tipping tokens.” RVSP via e-mail to [email protected] Click here for more information. Located at 729 Lee Road, Orlando FL. GO be a judge on Craft Wars! 3. GO Travel to Scotland! Travel through time to Scotland of yore at the 38th Annual Central Florida Scottish Highland Games, Saturday and Sunday, January 17th and 18th, 2015 at Central Winds Park in Winter Springs. 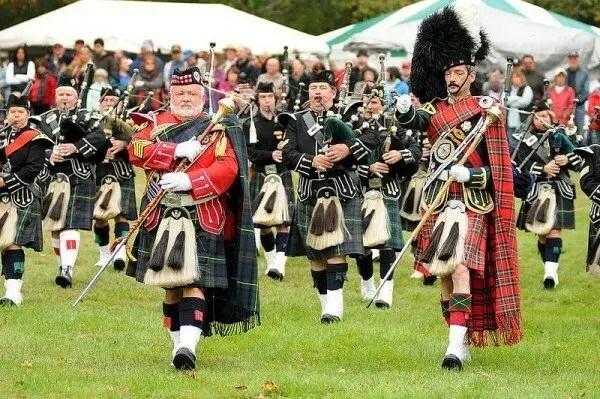 Area Scottish clans and societies gather to compete in rigorous athletic events, dancing and piping to celebrate their rich heritage Hosted by The Scottish-American Society of Central Florida which was founded in 1976 to celebrate and carry on the Scottish traditions here in the US. Cheer the athletes tossing rocks and trees. Watch dancers and listen to bands, including Off Kilter, the beloved band previously at Epcot’s Canada stage. Dance to the olde tribal rhythms. Meet distant kin in Clan Row. See how far you can carry a boulder. Witness an actual game of Quidditch (without Harry Potter magic! ), archery and Scottish shortbread competition. Gates open Saturday at 8:00am, and Sunday at 8:45am. Ticket Prices: Saturday $20 advance, $25 at gate. Sunday $15 advance, $20 at gate. Kids $5. Click here for more information. Located at 1000 East State Road 434, Winter Springs, FL. Plus, if you’re a whisky fan, then don’t miss the Whisky Tasting Event on Friday January 16th at Altamont Hilton. If you can’t make the actual trip to Scotland, this is your next best option to get inspired. GO Travel to Scotland! 4. 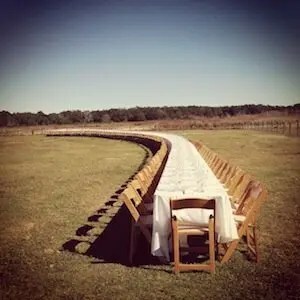 GO Dine in the Farm! Lake Meadow Naturals’ Dale Vokert plays host farmer to Chef Kevin Fonzo of K Restaurant on Saturday January 17 and Chef Kathleen Blake of Rusty Spoon on Sunday January 18 for an incredible one of a kind dining event as part of the “Outstanding in the Field” Winter Tour. These James Beard Award Nominated chefs are sure to show what true farm to table dining is all about. For more information click here. Located at 10000 Mark Adam Road, Ocoee FL. GO Dine in the Farm! Join as a variety of local businesses and restaurants compete for the 2015 Chowder Cup at Orlando’s Chowder Festival held at the Winter Park Civic Center, Saturday January 24, from 1:30pm-4:30pm. Proceeds will benefit Heart to Heart of Central Florida. Located at 1050 W. Morse Blvd, Winter Park, FL. $30 pp. Click here for information and tickets. GO Chowder Tasting! 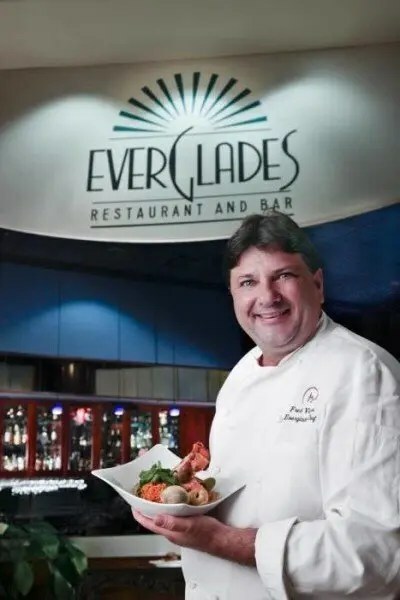 Everglades Restaurant’s popular Vine & Dine Wine Dinner series is back with the Hunters & Gatherers themed dinner on Friday, January 30, 2015. Chef Fred Vlachos five course menu was inspired by hunting wild game and gathering fresh vegetables and fruits, and will be paired with Frog’s Leap wines from Rutherford California, whose owner, John Williams also has an affinity for the land as he camped on Frog Farm to save money in his early days. Event starts with reception at 6:30pm. $75 per person. Reservations required at 407-996-8560 or click here. Rosen Centre Hotel located at 9840 International Drive, Orlando FL. GO Wine Pairing! The Tasty Trio of Tonda Corrente (owner of La Femme du Fromage, Orlando’s most popular cheesemonger), Jill Ramsier (owner of Quantum Leap Winery, Florida’s only sustainable winery) and Lisa Wilk (owner of Orlando Uncorked, wine educator and food blogger at Taste Cook Sip) is back at the beautiful East End Market for a special two-hour tasting event of the perfect foodie trifecta: cheese, wine and chocolate. 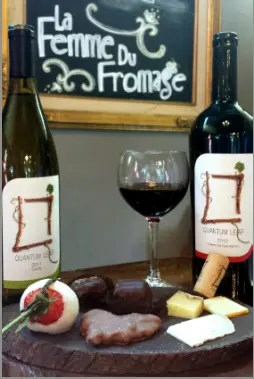 On Friday January 30, sample five pairings of amazing cheeses, Quantum Leap Wines and Peterbrooke Chocolatier of Winter Park chocolates. $45 per person. This event sells out so get your tickets here. Located at 3201 Corrine Drive, Orlando FL. GO Tasty Trio! 8. GO to a Wizarding Celebration! If you’re a Harry Potter™ fan, Universal Orlando® Resort is the place to be January 30 – February 1. Be a part of A Celebration of Harry Potter™ and join in interview sessions with film talent, get autographs, access special discussions and demonstrations, and visit a Harry Potter™ Expo. This promises to be an unforgettable event. While there, don’t miss sharing a meal with friends at The Leaky Cauldron (My favorite is the Fish & Chips), sample magical ice cream flavors at Florean Fortescue’s Ice Cream Parlour, and taste all four different kinds of butter beer, plus a ride on the Hogwarts Express is a must. Click here for more information. GO to a wizarding celebration! 9. GO on a Road Trip to the Keys! 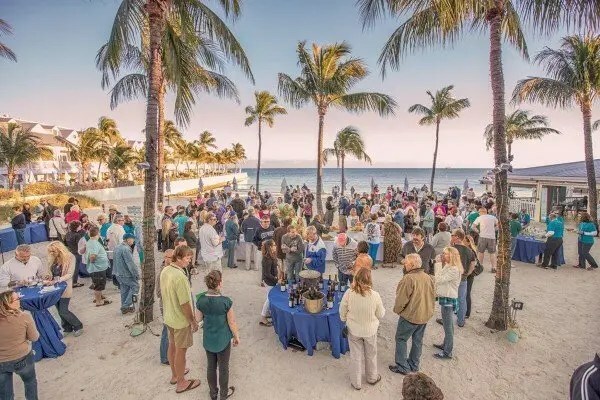 GO on a road trip to the southernmost point of the US as Key West’s famous Duval Street hosts the Key West Food and Wine Festival. A variety of fun food, wine and libation events will be held from January 27 – February 1 such as International Girls Night Out, The Bean-To-Bar Experience At Lush, Henry Flagler’s Welcome Beach Party, Banfi Italian Wine Dinner, Santa Barbara County Winemaker Brunch, Key West Kitchen Tour, Grand Tasting at The Marker Waterfront Resort, California Sparkling Wine Brunch, Key West Shrimp Boil, A Taste of Santa Barbara County Seminar, Duval Uncorked Deconstructed, Winemaker Dinners, Cheeseburger in Paradise, Pizza & Prosecco Sunday Jazz Brunch, and Key West Outdoor Artisan Wine Market. For more details click here. Go an a Road Trip to the Keys! Which events will you attend? 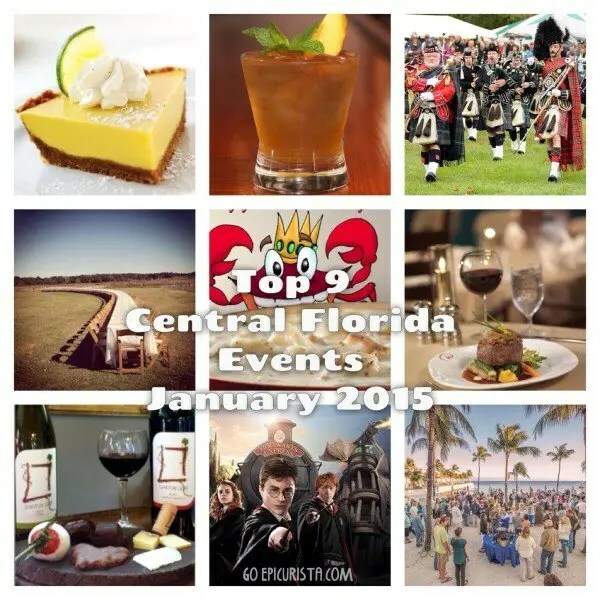 Did I miss any fun Central Florida Events January 2015? Let’s chat in the comments below or on any of the social media channels.